COLOMA — Karen Warner was the recipient of $10,000 as a result of technology. However, the Coloma farmer nearly missed out on the $10,000 because of technology. After entering into a business competition sponsored by Comcast, Warner was sitting on her sofa with her laptop and iPad close by. She happened to glance at her iPad and saw the email from those running the contest notifying her she was a finalist. The same email had not come through on her laptop because it went to her spam folder. Warner said she is always in search of free money and applies for grants and other competitions. She did a quick online search for business competitions and found one from Comcast. Warner proceeded to write a 250-word essay on how she would use the money to grow her business. The organic farmer, who is known for her blueberries and apples, was later selected as a regional winner for the Innovation for Entrepreneurs Contest. Out of the 16 entrepreneurs and 16 start-up businesses picked around the country, Warner was chosen to represent the Greater Chicago Region by Comcast’s Corporate Group. Warner’s ideas to better improve her business by incorporating technology hit a bell with the company. Her plan that was pitched in the written essay was to include smartphones and install Wi-Fi on her property, so she could always be located. Warner said she plans on using technology to do the record keeping for organic productions and for the point of sales system. Instead of jotting things down on paper, Warner intends to ring up the order at a register and take credit card payments. 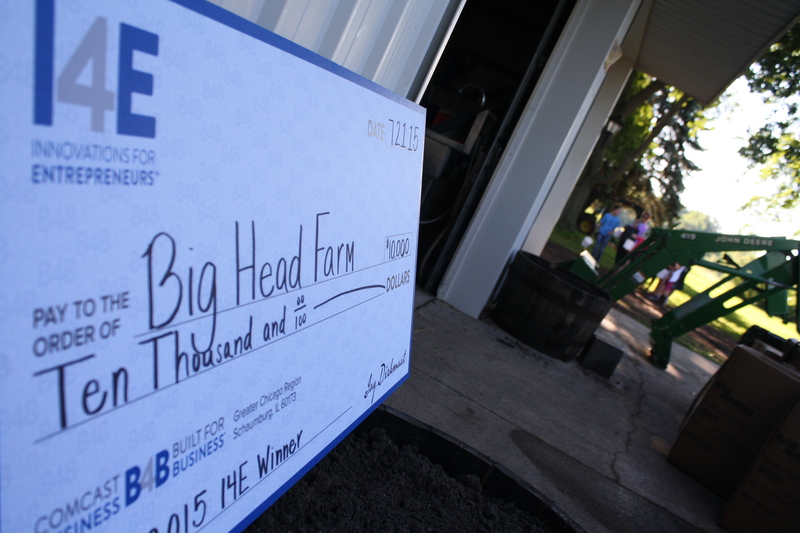 Jack Segal, vice president of communications for Comcast’s Greater Chicago Region, was in Coloma at Big Head Farm on Tuesday morning to present Warner with the $10,000 check. 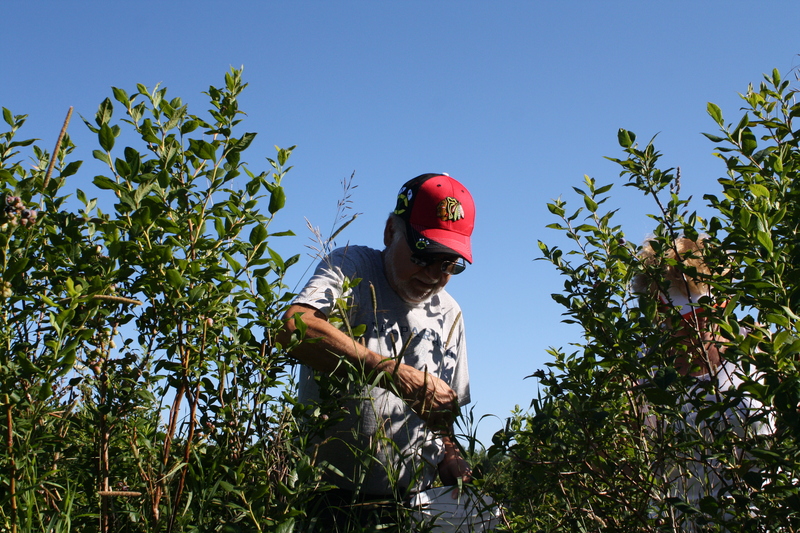 After the check was awarded, Comcast paid for some of the blueberry picking that took place. A few familiar faces from the area came out for the ceremony. State Rep. Al Pscholka made an appearance and said he was pleased to see Comcast recognize Warner for her ingenuity. Alongside him was state Sen. John Proos, who said he liked to see the entrepreneurial spirit that Warner has showcased. BENTON TOWNSHIP — While it may be summer, Benton Township officials are planning ahead for winter. Trustees unanimously approved to pay $8,900 to have Great Lakes Specialty Diving install a bypass valve in the township’s intake pipeline to prevent any ice blockage. Water Plant Supervisor Kyle Tryan presented his findings to the trustees, who had asked him questions about the valve’s function and durability. While Benton Township didn’t have any problems with ice blockage last winter, it was the winter before when the township had three instances of the pipeline being shut down to clear itself up. Tryan gave the board a reminder of what frazil ice is and what it does to screens on an intake valve when ice accumulates. The total cost comes in two parts, as the cost of the valve itself is $5,700, installation will be $3,200. Trustee Carolyn Fowler asked what Great Lakes Specialty Diving, a Benton Harbor company, would do for the total asking price. “They would have someone build the valve, and then they themselves will go down, bring the flange up, fabricate it and install (the bypass valve) to the flange,” Tryan said. Part of the service fee would include sending divers down to inspect the bypass valve annually. The four-man commercial dive team would take an underwater camera and record a video for the township to view. 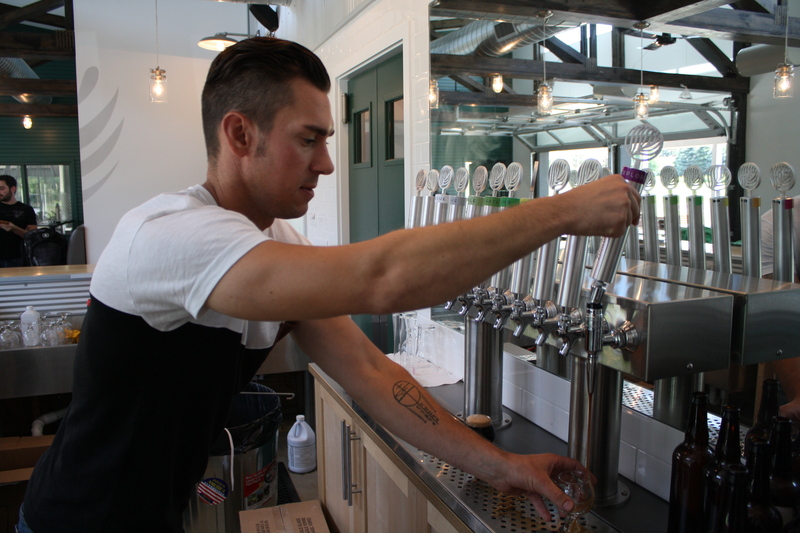 Tryan said the valve would be made out of stainless steel and would require no maintenance. As long as a boat or ship does not run into the pipeline in which the valve is located, Tryan said the valve should last a lifetime. Another option would be to buy and install a bubbler system, which would force air through the blocked pipeline. However, Tryan told trustees the bubbler system would cost between $15,000 and $20,000 after buying an air compressor and a line to get the air down to the valve. The valve’s installation is expected to begin by late fall. There will be a Benton Township workshop meeting open to the public at 9:30 a.m., July 31 at the township hall. The next regular township meeting will be Aug. 4. ST. JOSEPH — Another year means a new campaign for the United Way of Southwest Michigan. The charitable organization announced Tuesday it has set its goal for the 2015 campaign at $3.85 million. The money raised will go toward making changes in United Way’s impact areas of education, income, health and basic needs. “We really want the community as a whole to come together to support United Way because change is about all of us coming together,” said Scott McFarland, Honor Credit Union’s president and this year’s United Way campaign chairman. To launch the 2015 campaign, seven companies along with the United Way are dubbed “Pacesetters” in an effort to lead by example for the overall campaign. These organizations start their United Way campaigns early, use a number of best practices, and set goals to increase participation and money raised. The 2015 Pacesetters were chosen and include Competitive Edge, Edgewater Bank, Honor Credit Union, Kemner-Iott Agency, Meijer of Benton Harbor, Meijer of Stevensville and Mid-West Family Broadcasting. United Way served 63,000 people throughout every community in Berrien and Cass counties last year. These community members were helped through 48 United Way-funded programs along with several community initiatives. In addition to the funds raised, many programs leveraged United Way funds to bring in another $2.2 million through federal and state grants. Altogether, the total value of United Way of Southwest Michigan in 2014 was about $7.3 million. The 2015 fundraising campaign will begin Sept. 14. To learn more or to get involved with United Way, visit its page at facebook.com/unitedwayswmich. Many times the act of eating and running out by avoiding to pay the check can have a large impact on both employees and the businesses themselves. 221 Main Restaurant & Cocktail House suffered a dine and dash last Saturday. Jennifer Cowsert, a server since she was 18, said it happened when 221 Main normally gets them – during the busy night scene. As a server on weekends and a manager on weekdays, Cowsert said the staff often gets credit cards from customers before they start tabs. This past Saturday, the group that walked out had come in from a different restaurant that had lost power. Cowsert said the largest bill anyone ever stuck her with was $264. It also hurts the server in other ways. 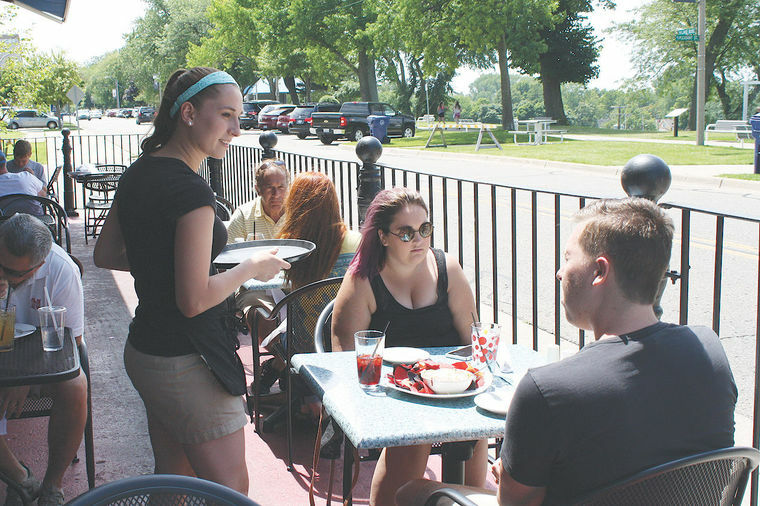 Jim Kramer, owner of three downtown St. Joseph restaurants and one in Dowagiac, said while walkouts happen, it’s not as frequent as one might think. He said one a month is typical. Kramer said rush hour presents the most opportunity for walkouts. He estimated that they cost his restaurants more than $1,000 in sales each year. Randy Deaton, a manager for Redamak’s in New Buffalo, said normal protocol there is to speak with the server after it happens. At Coach’s Bar and Grill in Stevensville, co-owner Jeannine Van Liere said she has yet to experience an actual dine and dash. Van Liere said people have forgotten to pay and then come back the next day to pay. In the event of a walkout, Van Liere said employees are instructed to print out the ticket and write it off as a walkout for the books. Kramer said he has sympathy, if the issue is that someone simply can’t afford to pay. It’s no surprise people steal towels and robes from hotel rooms. But would anyone take chair cushions or light bulbs? While Wi-Fi, parking and breakfast is normally free, guests have been known to take just about anything that isn’t screwed to the floor. Cody Scott, who works at the front desk at the Silver Beach Hotel in downtown St. Joseph, said the normal items taken from their hotel includes towels, batteries and pillows. Scott has worked at Silver Beach hotel for six months, but has been working in the hotel trade for eight years. In his time there and at other hotels, Scott has seen just about everything lifted from rooms. It has been the same type of material stolen for the last decade. Scott attributes this to the fact that hotels are not adding different items to the rooms. Cindy Southland, desk manager at Comfort Suites in Lincoln Township, said they haven’t had a lot of items stolen from their rooms. Once in a while a towel or two will go missing, but Southland said their guests are pretty good about it. Ricquesha Page works the front desk at Americas Best Value Inn & Suites in Benton Township, and said they have to replace towels on a regular basis. 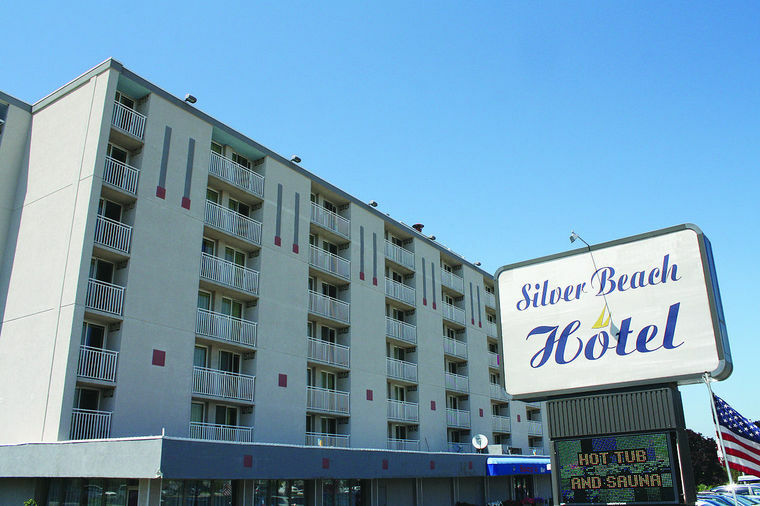 Scott agreed with that sentiment as he said stolen items cost the Silver Beach Hotel about $5,000 a year to be replenished. “No, it’s not really something you can control,” he said. Among the common misconceptions many hotels deal with is the idea things like towels and bathrobes are assumed to be complimentary. Another norm that each hotel sees outside of stolen items is what guests leave behind. From eye glasses to shoes and socks, Southland said there is plenty to find in the lost-and-found area in the Lincoln Township motel. As soon as an item is discovered after the rooms are cleaned, Southland said the guests are called, and if they are still in the area, they try to get someone to pick it up for them. If they are long gone, Southland takes it over to Postal Connections to have it shipped back. At Silver Beach Hotel, iPads, cellphones and chargers are constantly found when a room is tossed and cleaned. Scott said the hotel has a lost-and-found bin that is emptied every 90 days if items are left unclaimed. BENTON HARBOR — Construction began Monday on the third and final phase of Whirlpool Corp.’s Riverview Campus in Benton Harbor. Activity in the area included clean up of the area surrounding the new wing and the demolition of old asphalt. Other work will include the driving of steel support girders, known as piles, which are the long poles driven into the soil to provide foundation support for the building. The pile driving will occur daily into August, Johnson said. Work will take place on the corner at Riverview and Main streets next to the Riverview Building where the area is fenced off. The original plans for the third phase called for a two-story building with retail space along Main Street, with nothing east of Riverview Drive. Revised plans called for a three-story building and no retail space, along with more parking east of Riverview Drive. This included the demolition of the former Red Cross building at the corner of Main Street and Riverview Drive for the additional parking. It has been reported the overall plan will cost an estimated $86 million, including about $65 million to build the Riverview Campus. The project was undertaken with the support of the Benton Harbor City Commission, Cornerstone Alliance, Berrien County and the state of Michigan.